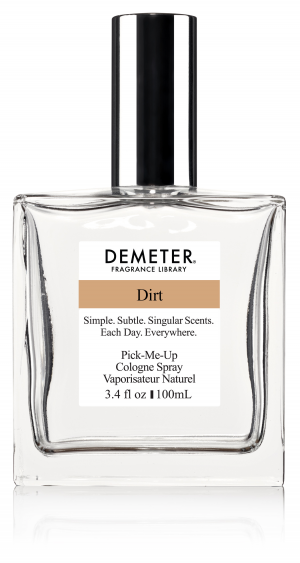 Our most emblematic fragrance, Demeter's Dirt was made to smell exactly like the dirt from the fields around the Pennsylvania family farm belonging to our founding perfumer. We think of this as April 10th when the plowing begins in the Northeast U.S. - the beautiful scent of turned earth with a touch of last season's corn stalks. 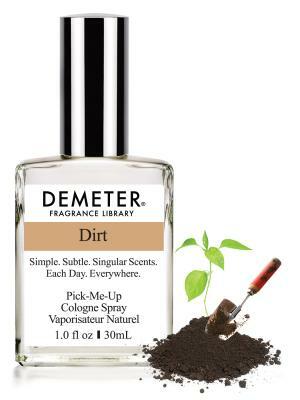 Place is the essence of Demeter's Dirt fragrance. People will occasionally say 'This doesn't smell like Dirt to me'. Well, where did they grow up? Arizona? Georgia? The South of France? Then, our Dirt isn't going to smell like their dirt.